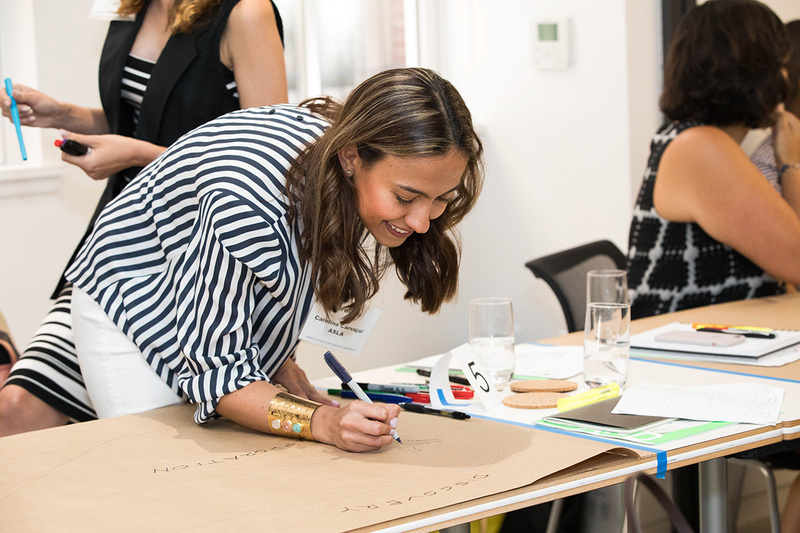 This year Senior Landscape Architect Carolina Carvajal returned to the ASLA Diversity Super Summit held in Washington, D.C. at the ASLA Headquarters, the newly renovated Center for Landscape Architecture. This year’s Super Summit convened the largest group of attendees, with 23 returning and 6 new participants. The goal of the annual ASLA Diversity Summit is to address the under-representation of people of color within the field of landscape architecture. We are failing to capture the potential of the growing minority population. A new tactic and perspective is needed to ensure that our career reflects as diverse a community as it serves. 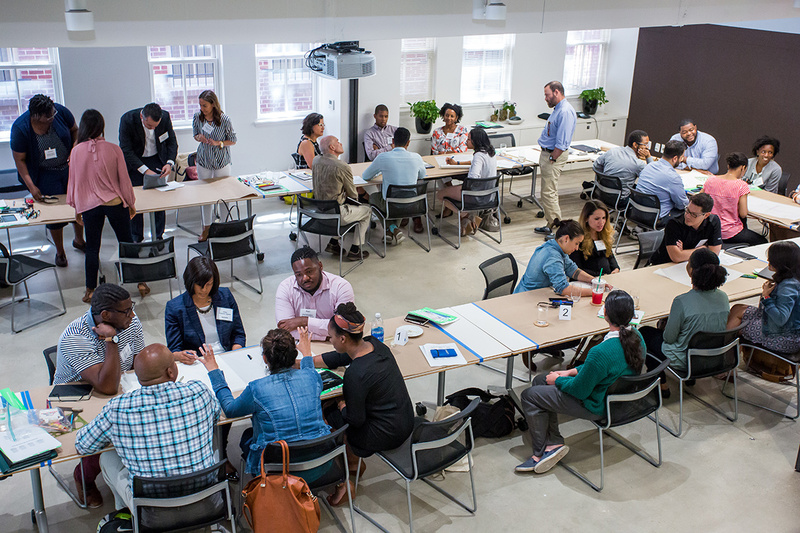 The Summit attendees analyzed and evaluated goals from previous summits, developed focus areas for 4 key diversity initiatives, and created a work plan to guide ASLA in the coming year. 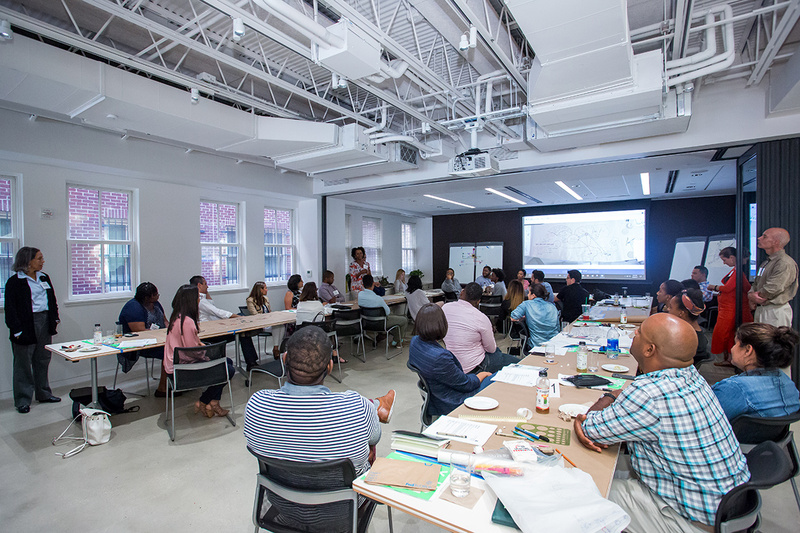 During the first day, participants shared their story on how they discovered landscape architecture and shared their paths into the landscape architecture career. 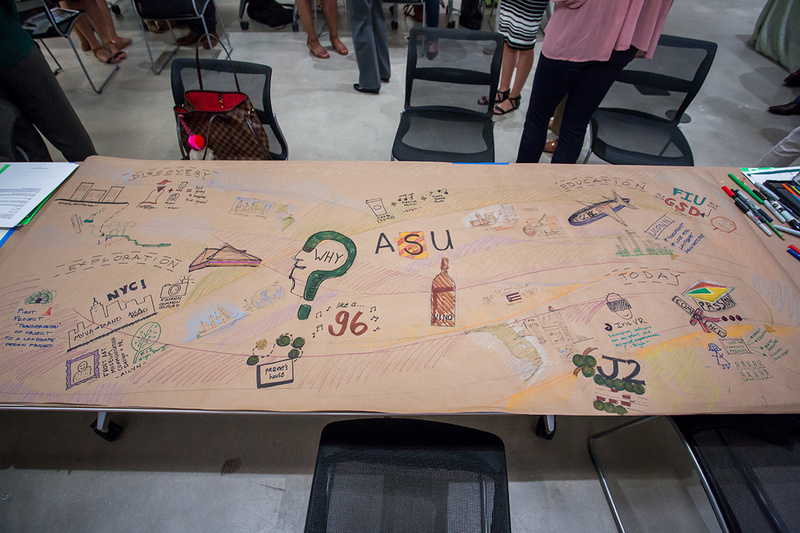 Then participants divided into groups and made a collage and drawings illustrating their career paths. Many have a similar story, they entered the career after starting in architecture or engineering majors. Participants then reviewed progress to date. General public awareness and understanding of landscape architecture, particularly with parents, was a recurrent topic addressed in past summits, as well as early exposure to the profession and the importance of mentorship throughout education and career. Different multimedia outreach has been developed. Marking the first Diversity Summit in 2013, ASLA filmed and edited videos of the original participants creating two films titled, “Why Become a Landscape Architect” and “Personal Paths”. In 2014, the Career Discovery website press release was translated into Spanish and grabbed substantial media attention. It was picked up by over 150 Spanish-language sites and sent to African-American media outlets and picked up by Black Enterprise, among other media organizations. ASLA hosted a tour in August 2015 of its Green Roof and introduced our new Green Street demonstration project to the National Building Museum’s Teen Council, primarily made up of junior high and high school students of color. Also as a pilot program, ASLA adopted a school in Washington, D.C.’s underrepresented area, and conducted activities with students and a field trip to sites designed by landscape architects. ASLA has developed a summary report of findings and action items from previous summit discussions. Recommendations from these reports were shared broadly with: ASLA Trustees, Chapter Presidents and President-Elects, Landscape Architecture Program Chairs, Committee on Education, Allied organizations. In 2015, the Presidents’ Council, comprised of allied landscape architecture organizations, drafted and signed a joint commitment to diversity and has stepped up efforts on several fronts. Similar releases were issued in 2015, 2016, and 2017, including a release focused on Summit attendees. Releases are also sent out recognizing National Hispanic Heritage Month each year. Highlighting diversity at the Annual ASLA Meeting: continuing education sessions have been held at the annual meetings in 2014 and 2016. To further the momentum gained through these past initiatives, participants broke into groups and worked to identify areas of consensus and streamline action items for the ASLA 2017-2018 work plan. Speak their language – kids speak in social media, YouTube channels, Instagram, snapchat, etc. This group’s vision and program takes forward the concept of piggybacking onto existing platforms to appeal to target K-12 audiences. To do this, ASLA needs to identify who can reach them and who are the influencers. 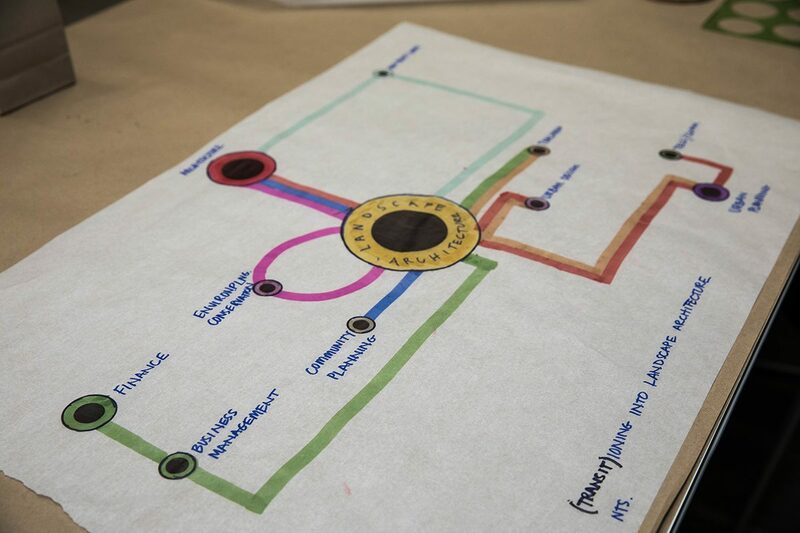 Introduce landscape architecture to under-represented schools through youth employment and entrepreneurship as an economically viable career path. This initiative would take on a City Year-type model — nationally structured but chapter specific, including local firms and allied organizations. This focused specifically on the content, organization, and integration of diversity on ASLA.org. Their concept was that the website should be looked at as a reference and explanation of what landscape architects do in general (“Architects design the buildings, landscape architects design the rest of the world”), not only specifically related to diversity, but rather with diversity engrained within the content. To inspire through showcasing diverse paths to success in landscape architecture and broaden the definition of design excellence.